OAKMONT, Pa. (AP) — Stalled by rain, the U.S. Open is almost back on schedule. And when another marathon day finally ended Saturday with Shane Lowry of Ireland atop the leaderboard at Oakmont, it was more chaotic than ever. None of the six players who remained under par has ever won a major championship. Lee Westwood and Sergio Garcia, who between them have played in 142 majors without winning, were only three shots behind. Andrew Landry, in his first U.S. Open, didn’t look the least bit rattled and was two shots back. 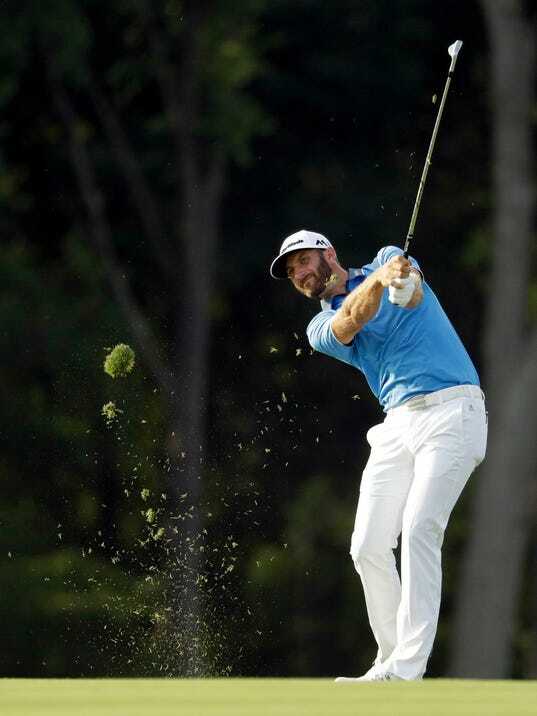 And then there was Dustin Johnson, no stranger to suffering in the majors. He had the 36-hole lead, started the third round late Saturday afternoon by stuffing his approach to 5 feet for birdie, and then hit his next tee shot so far left that it went over a counter of lemonade glasses and into a concession stand, the ball settling next to a blue tub filled with bags of ice. He nearly made birdie. Bogeys followed and he also was three shots behind. Jason Day worked himself back into the mix. Jordan Spieth did not.